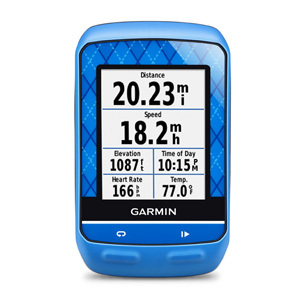 The 510 records your distance, speed metrics, ascent/descent, grade and more. 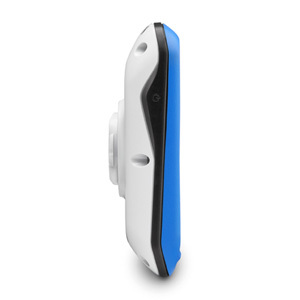 Take your training farther with ANT+®-compatible sensors that measure your heart rate², speed/cadence² and power³. Activity profiles let you customize data fields and device settings based on cycling activity, such as training or racing. 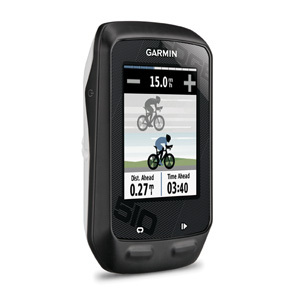 Switch profiles with a simple swipe of the touchscreen and the 510 will be set up to show the data for that ride. 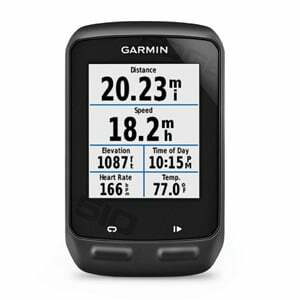 When you complete a ride, the 510 displays any new personal records you achieved, such as farthest distance or most ascent gained. 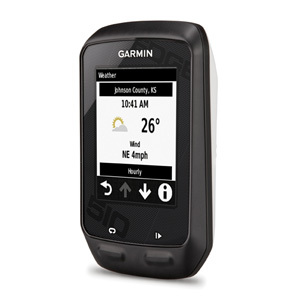 Edge 510 offers a suite of connected features when paired with your smartphone (iPhone® or Android™) and the Garmin Connect™ Mobile app. 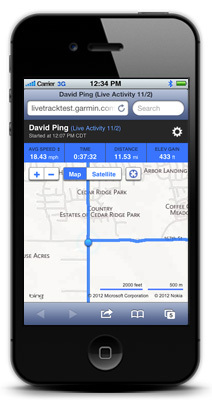 Get comprehensive, accurate ride data from a dedicated device, while saving your phone battery. Edge tracks the data and sends it to your phone using Bluetooth®. Stay connected and share all the details of your ride with friends, family and social media. Post an update immediately after your ride or race. 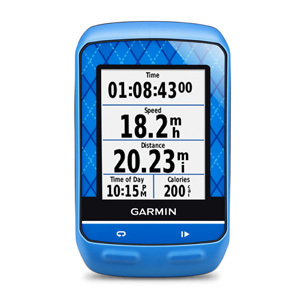 Create the posts via your smartphone, and the ride data’s already there, thanks to the interface with Garmin Connect Mobile. 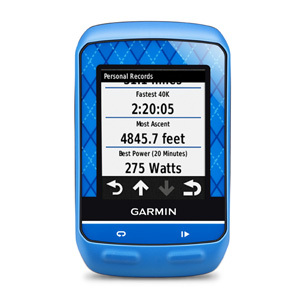 When paired with a dual-sensing Vector™ power meter, Edge 510 now displays our revolutionary Cycling Dynamics metrics and are included in Garmin Connect™ for post ride analysis. These metrics measure where the power is being applied throughout the pedal stroke, and where on the pedal it is being applied, allowing the cyclist to understand his or her particular way of riding. The Seated/Standing metric will follow in early 2015. Like the Edge 1000, the Edge 510 now integrates with Shimano Di2 shifting systems5 to display your current gear on the screen. We’ve also expanded the integration capabilities for those Edge users with compatible Shimano Dura Ace Di2 systems by allowing them to directly control their Edge from the small buttons inside the brake hoods. Similar to the Edge 1000, the Edge 510 now include segments. 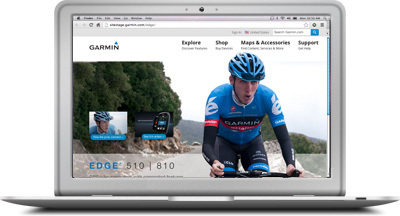 Cyclists can turn every ride into a race by competing on Garmin Connect segments and seeing real-time results, including alerts for segment start/finish and leaderboard rankings. Control your Edge 510 without removing your hands from the handlebar. The 3-button Edge remote uses ANT+ wireless connectivity to mark laps and scroll through pages. You can even program the third button. Edge 510 is rugged and water resistant, and has up to a 20-hour battery life. The touchscreen is easy to operate, even with a gloved finger and when wet. Mounting options include a new out-front mount² for heads-up positioning and a standard quarter-turn mount. It also comes with a tether so you don't lose it in the event of a spill. ¹When paired with compatible iPhone or Android.